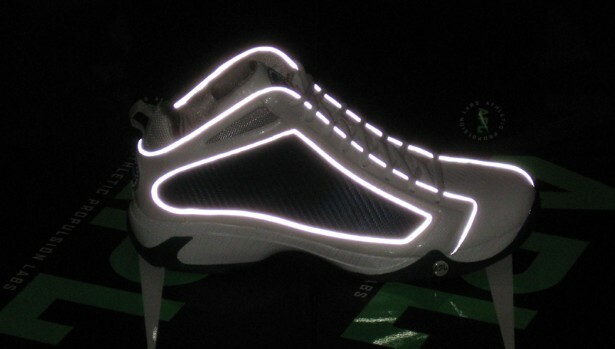 New image reveals reflective detailing on the vertical-increasing sneaker. Athletic Propulsion Labs, makers of the controversial Concept 1, introduced two new colorways of the sneaker last month. One of those new colorways was a white-based look, accented by navy blue paneling and grey piping. In a new photo taken by APL Graphic Designer Cody Harris, we actually see that the grey piping is 3M reflective, adding yet another intriguing element to the design of the Concept 1. 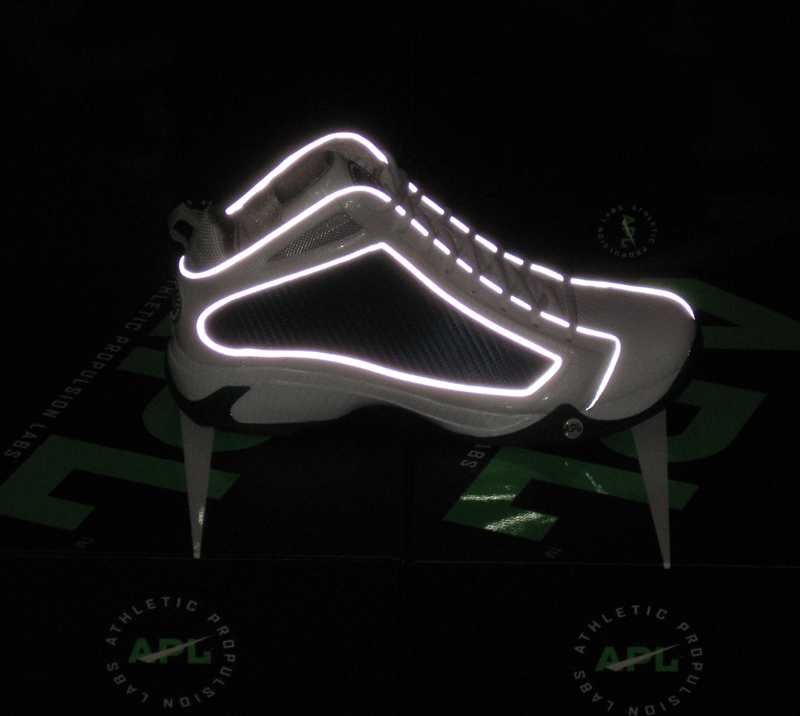 The NBA-banned shoe retailers for $300 and can be purchased now at Athletic Propulsion Labs.